Our ability to manufacture rapid tooling has opened up access to moulded parts quickly and early in the development process. Our Bridge tooling now builds on this capability and moves a step towards production, with the potential to add cosmetic requirements as well. 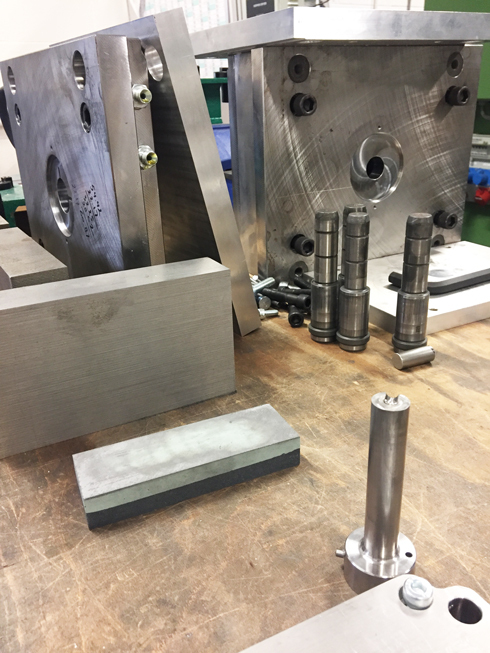 Bridge Tooling is proving to be the most commonly used tooling arena for many of our clients, offering production parts ahead of production tooling; or if production quantities are low may avert the need for a conventional production tool altogether. Either way good aesthetics are an important feature of this type of tooling thereby serving to increase it's popularity. Many of the features of rapid tooling may be present in a Bridge tool, although with the increased attention to finish and tool design, to ensure cosmetic surfaces are not compromised. The choice of tool material is dictated by geometry, moulding material and required tool life, and we utilise a full range of aluminiums, tooling grade aluminiums, steels and tool steels. It is worth noting that tooling grade aluminium is a high performance tooling material with the capability to produce in excess of 100,000 mouldings when properly maintained! However it is speed that remains the major driver behind Bridge tooling; through our vast network of suppliers, we can expect first trial (T1) around 15 days after starting. The use of bridge tooling as a low volume production tool has some considerable advantages, the most obvious being the cancellation or at the very least significant deferment of expensive production tooling. This in turn can have beneficial implications for cashflow, allowing the market viability of a product to be evaluated and possibly a revenue stream to be created. From an engineering perspective the integrity and consistency of an injection moulded part is a considerable advantage. Product appearance and perceived value can be enhanced whilst accessing a full range of production engineering materials. 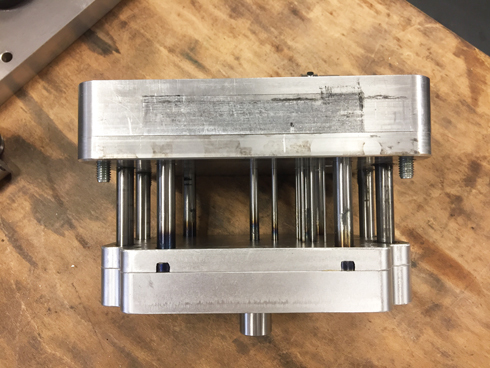 So just because your production quantities are not in the tens of thousands, do not rule out injection moulding, ask us about bridge tooling, reduce your leadtimes and be moulding in batches as low as 50 – 100 parts before you know it. Be it that you need to under take market research with a few hundred assemblies, crash testing to prove viability, or are operating in a low volume niche market, bridge tooling could be your solution. Companies operating in the medical and scientific instrumentation sectors as well as specialist automotive manufacturers and those seeking custom enclosures to differentiate their product have all utilised this type of tooling. Plunkett Associates has a track record of optimizing tooling solutions to meet customer requirements. We have our very own dedicated tooling and moulding sister company with knowledgeable, highly skilled toolmakers and moulders available to help with your development programme. Take a look at Adept Precsion's website, or give us a call to discuss your requirements. We will be happy to help.